Whilst very few of us will be lucky enough to live for the next 100 million years, that’s how long Saturn’s rings have left before they vanish out of all existence. Does that sound like a long time? Well, compare it to the previous estimate of 300 million years and it doesn’t take long to see that there’s a problem. 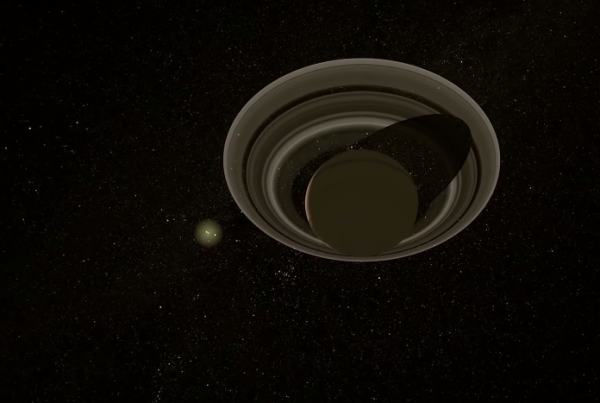 Saturn is losing its rings! Saturn’s rings decorate the colorful walls of kindergarten classrooms the world over. They are strange, bold, bright, and instantly recognizable. NASA experts have recorded that the rings orbit an unbelievable 280,000 kilometers away from the planet’s surface. 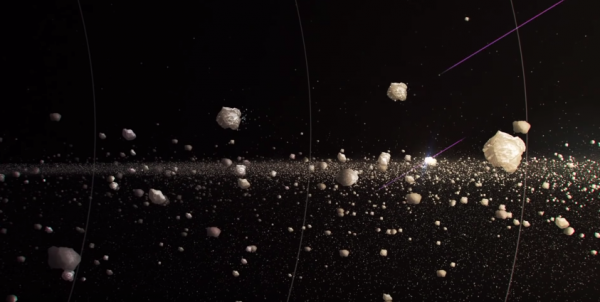 But as we speak, 10,000 kilograms of debris from Saturn’s rings is raining upon the surface of the planet every second. So, why the hail storm? This “rain” is actually composed of matter that has disintegrated and detached from the orbit of Saturn’s rings. And it’s not “rain” at all; it’s mainly chunks of ice and rock that have been damaged by UV radiation and the blast from passing clouds of meteoroids. 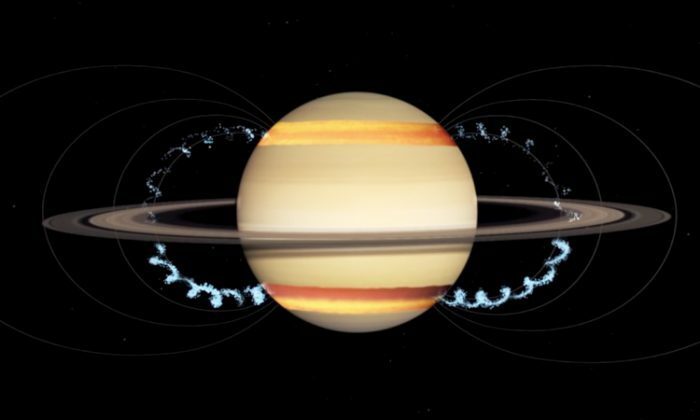 The icy chunks that orbit Saturn are being vaporized, and the resultant charged water molecules interact with Saturn’s magnetic field, falling towards the planet’s surface. This explains the “rain” that scientists are witnessing. NASA’s Voyager craft first noticed Saturn’s “ring rain” in the 1980s, so it’s not a brand-new phenomenon. The disintegration of the rings was a momentous discovery, but the process was given a conservative timeline of 300 million years. However, the audible sighs of relief are long gone; we already know that the prognosis has worsened since then. 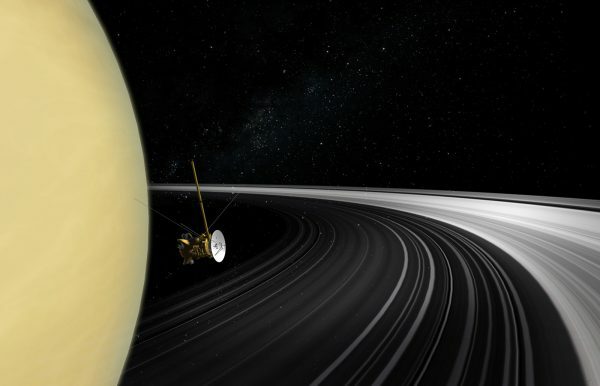 NASA launched their Cassini craft in 2017, and after assessing the ring rain on Saturn’s equator, the findings were discouraging. The rain was heavier than expected. We can certainly put our cosmic disappointment into context: Saturn first formed approximately 4.5 billion years ago, but studies suggest that the rings are a much more modern addition. They’re only around 100 million to 200 million years old. “If the dinosaurs had birdlike vision, they would definitely be able to see it,” said Matija Cuk of the SETI Institute, speaking to National Geographic. “Not clear they would care, though,” she added wryly. If Saturn’s rings really do disappear as quickly as they arrived (in the grand scheme of things), then we should thank our lucky stars that we were here to witness their majesty. 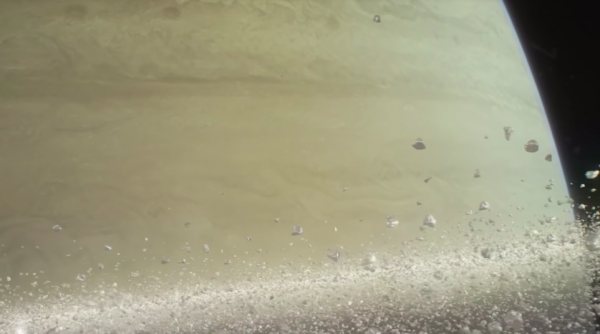 Not to mention, the rings have taught us plenty about Saturn’s immediate neighbors. Take its moon Enceladus for example. NASA’s Cassini craft discovered a trail of ice and gas leading from Enceladus to Saturn’s “E” ring, thereby discovering both that the moon was constantly releasing this trail and that Saturn’s rings were, in part, made up of literal moon dust. At risk of sounding like a champion for interdependence, perhaps everything really is connected? “It is interesting to realize how dynamic our solar system is,” NASA’s Jeff Cuzzi commented, in a beautiful understatement. Saturn’s rings have certainly enlightened space explorers on the complex composition of our solar system in recent decades. We should celebrate the glorious rings of Saturn whilst they are still in existence. After all, if the dinosaurs didn’t care, the very least we can do is look up and marvel. 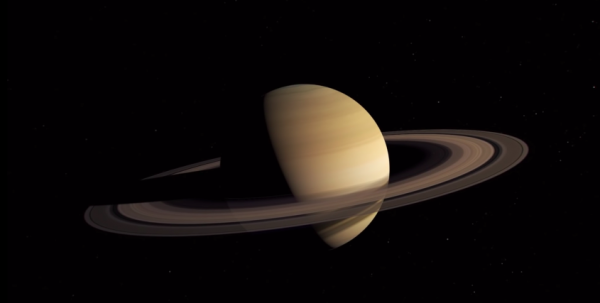 Have you ever looked up into the night sky and spotted Saturn’s rings? Share, discuss, and pick up a telescope—be sure to enjoy this glorious planetary feature! Every 20 to 30 years, Saturn’s atmosphere roils with giant, planet-encircling thunderstorms that produce intense lightning and enormous cloud disturbances.